﻿ Ricardo Azevedo - Literatura Infantil e Juvenil - Escritor e Ilustrador. 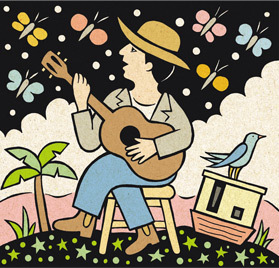 Ricardo Azevedo is a brazilian writer, illustrator, composer and researcher, borned in São Paulo in 1949, author of several books for children and young readers. He has also given lectures and published research and articles about Brazilian popular culture, literature, poetry, music and the illustration of books.